Support healthy development of all children within their own pace and context. 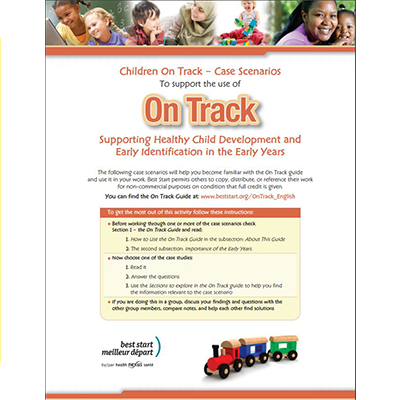 Provide identification of indicators that may put a child at risk. List strategies to support children and those who work with and care for them. Assist service providers in connecting to local services for children. This set of 6 case scenarios will assist service providers in becoming familiar with the On Track Guide and how it can be used in practical situations. Individual service providers or groups can learn from the discussion questions and the relating sections of the On-Track guide.